CHICAGO, IL (JUNE 4, 2018) — Cobra Electronics, the leading designer and marketer of award-winning automotive, mobile and consumer electronics, today announced the availability of its new DASH Series line of dash cams. This next generation of Drive HD Dash Cams are the most technology packed, user friendly, and reliable dash cams yet. All new DASH Series models will feature an ultra-wide 160° lens to record 1296P Super HD video. Footage is optimized to minimize glare, offer crystal clear visibility of license plates, and provide unparalleled night time recording. DASH Series models are loaded with features including loop recording, G-Sensor accident protection, advanced parking mode and auto date/time. Extreme Temperature Protection utilizes a super capacitor to reliably function in even in the harshest conditions. The DASH Series line of cameras also feature Advanced Driver-Assistance Systems (ADAS) by providing drivers warnings if they drift lanes (Lane Departure Warning System) or come up on an object too quickly (Forward Collision Warning System). The DASH 2216D and DASH 2316D are dual view models that include an additional rear camera that allows for front and rear simultaneous recording. The included Y-Splitter and 14-foot extender cable allow for the rear camera to view the interior of the vehicle or the road behind. Exclusive video editing software allows for viewing front and rear video simultaneously as well as cropping or merging clips. The DASH 2308 and DASH 2316D are iRadar® enhanced models that add smartphone connectivity to integrate with the Cobra iRadar Community. This patented technology provides alerts to upcoming speed and red-light cameras, live police locations and caution areas. With over 3 million downloads and 7.5 million unique alerts per month these driver alerts are continuously updated in real time by other iRadar users on the road. In addition to iRadar integration, the DASH 2308 and DASH 2316D pull location and speed data from the smartphone and embed it into video files on the dash cam. Route information is then displayed on a map view so that you can see exactly where the vehicle was at any point while playing back a recording. Date, time, and time zone information are automatically pulled from the phone to the dash cam so that video timestamps are always accurate. This is especially useful for long road trips or when crossing into new time zones. 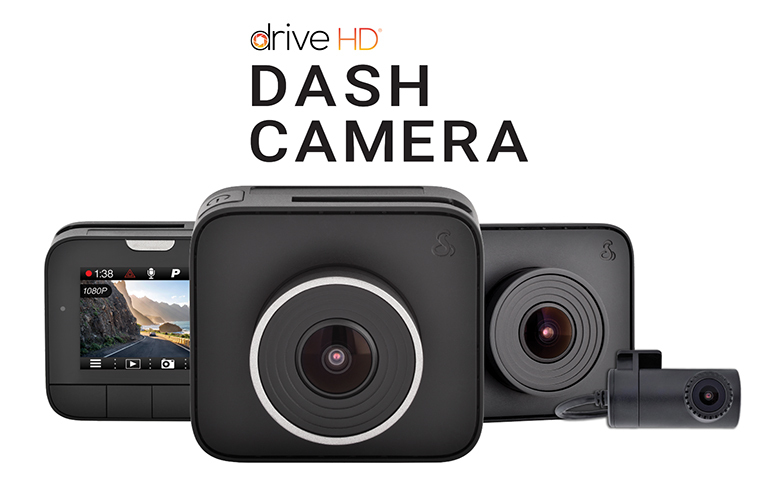 The Drive HD DASH Series Dash Cams are available now on Cobra.com for a suggested retail price ranging from $139.95 – $239.95.